Scotland’s Commonwealth Games gold medallist David Millar was the surprise guest at the 2010 Braveheart Cycling Fund dinner on Saturday evening. Millar was joined by Mark Cavendish, Lizzie Armitstead and other top riders including Adam Blythe, Russell Downing and Matt Brammeier in attending the eighth fundraising dinner to help assist promising Scottish cyclists in fulfilling their potential. Wearing a kilt, the world time trial silver medallist expressed his gratitude for the support he has received from Scotland before being invited to join quadruple Olympic champion Sir Chris Hoy in becoming the Fund’s second patron, “If you’ll have me, then I would consider it an honour and a privilege,” the Garmin rider responded. 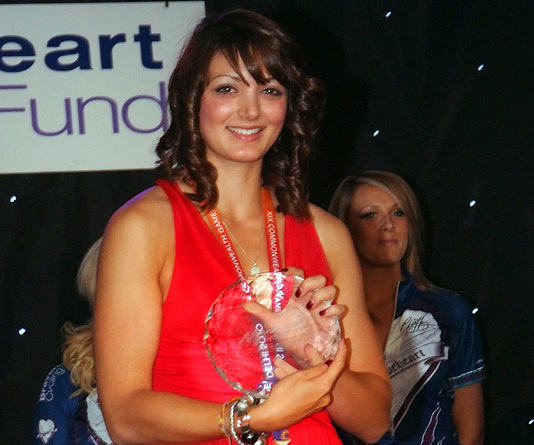 Charline Joiner, the silver medallist in the team sprint at the Commonwealth Games, received the Cyclist of the Year award from Millar. “If I’d been told a year ago that I’d win a silver medal in the Commonwealth Games, and now this, I would never have believed it,” said Joiner. In a revealing interview, Cavendish paid tribute to his Isle of Man teammates at the recent Commonwealth Games in Delhi and told the 380-strong crowd that his long term ambition is to beat Eddy Merckx’s record of 34 Tour de France stage wins. In a touching moment, the Vuelta green jersey winner then took the time to personally speak on the phone with a 10-year-old cycling fan who was diagnosed with cancer last week. 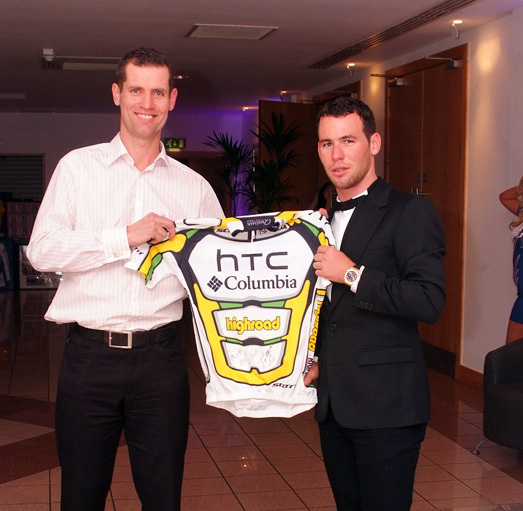 Cav then arranged for a signed jersey to be sent to him. Afterwards, Cavendish won a bidding war with Millar during the auction for a signed Sean Kelly jersey, eventually paying £1,500 for the item. The auction raised £35,000 in total with a genuine maglia rosa jersey signed by Giro d’Italia winner Ivan Basso going for £2,000.